The recently renovated SUAS Restaurant at The Reg in Waterford City has been restored to its former glory. 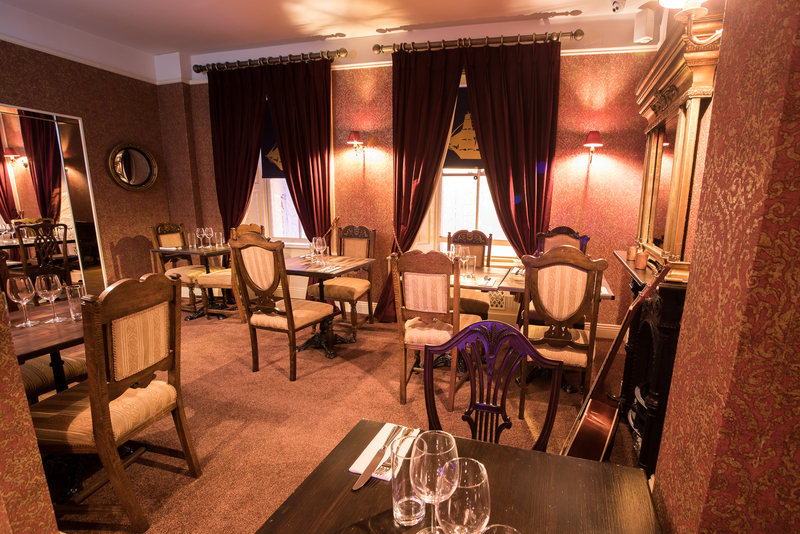 The SUAS Restaurant and NightBar is cosy and intimate space to eat in Waterford and offers Casual Dining and Á La Carte menus which have been crafted by our talented team of chefs. With the Copper Coast right on our doorstep we’ve placed some considerable emphasis on fish and seafood on our menus with a wide range of options to suit everyone’s taste. SUAS Restaurant caters for many dietary requirements including Gluten Free, Vegetarian, Dairy Allergies, Nuts Allergies etc. and are all clearly marked on all menus. SUAS Restaurant houses ‘The Reg Guitar’ which is available for customers to play who choose to Lounge till Late on the first floor. SUAS Restaurant can cater for up to 50 diners.